Having grown up a Baptist I was not one of one of those little girls that went to bed with prayer cards of the Virgin Mary on my night table and a rosary around my lampshade. My first paying gigs were as organist at United and Anglican churches so there were no icons of the BVM anywhere. When I was a first year music student at Mount Allison University, I had an opportunity to conduct Pergolesi’s ‘Stabat Mater‘ (which is featured later in this post). That was the beginning of my love affair with choral music and a fascination with the symbolism and beautiful music written in Mary’s honour. Mary was called blessed but she was given many other names too. 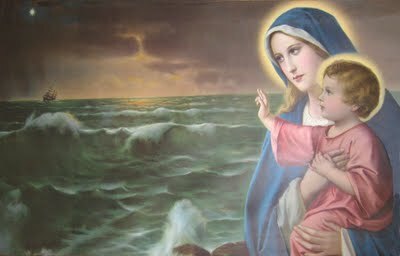 Mary full of Grace, the Queen of Heaven, Mater Dolorosa, the Star of the Sea and the Second Eve. She was seen in many cultures as the great Virgin Mother and yet the human mother, the Mother of Jesus. Interestingly enough, Mary also came to symbolize the courtly unrequited love of the troubadours. 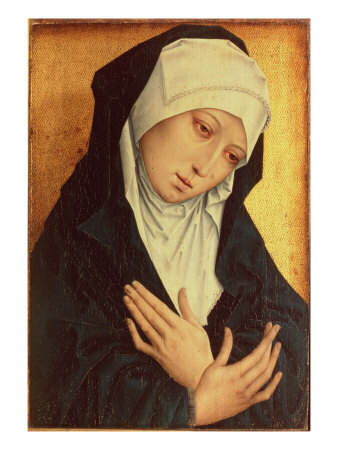 But first, her song in her own words – ‘The Magnificat’. Mariology reached its height in the Middle Ages and early Renaissance. Many religious communities sprang up dedicated to the veneration of Mary. 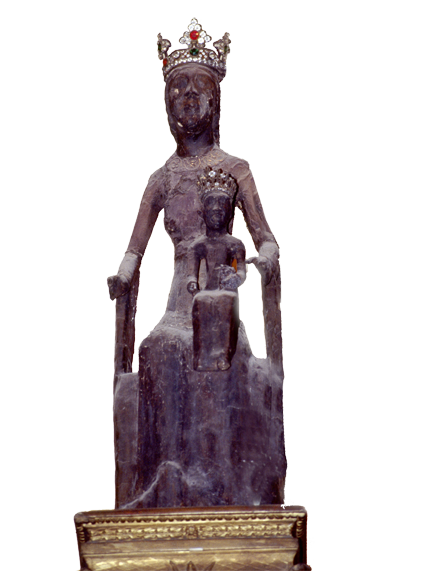 “Between 1170-1270, in France alone, over 100 churches and 80 cathedrals were built in her honour.” From the 11th to the 15th centuries, the popular understanding of Mary underwent a constant evolution. Anthems extolling her virtues have been offered in thanksgiving or as petition. Artists and poets reflected in their art how people felt about the Blessed Virgin. Generations of composers continue to draw on texts from these earliest hymns for much of their inspiration. The most beloved of these ancient poems is the ‘Ave Maria‘ . 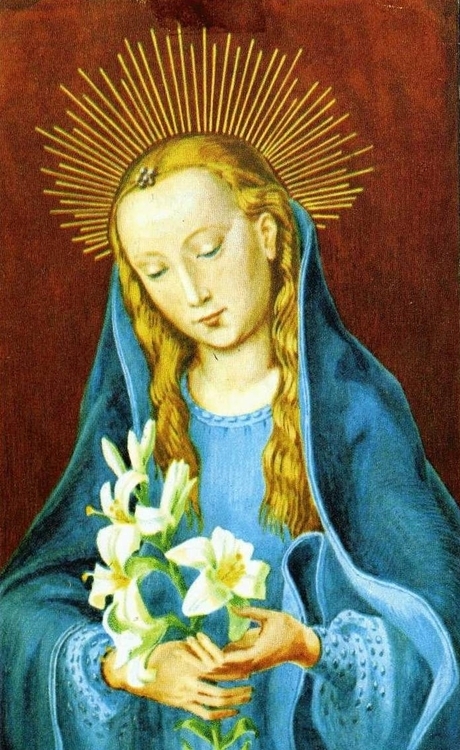 For many Roman Catholics, the Virgin Mary represents the sinners last hope of escaping eternal damnation. Mary is the compassionate mother whose heartfelt plea no son could refuse. Mary is Intercessor. It is to her that one presents a list or litany of petitions. For composer Francis Poulenc, it was the black Virgin, ‘Litanies a la Virge Noire’ that inspired him. He was dealing with his grief of tragically losing a dear friend and sought solace in a chapel. This sanctuary housed a statue of the black virgin. The history of the black virgin is unclear. Perhaps it originated from statues of the Virgin being carved in ebony. Perhaps it was the smoke from candles after centuries of burning that blackened the wood of the statue. These statues are considered especially wonder working. Poulenc’s setting is very personal. Grief laid bare. He doesn’t set the Latin text but chooses instead his language, French, for a direct petition to Mary. Mary having witnessed the death of her Son could now make petitions for Christians on behalf of their salvation. She understood suffering and loss. 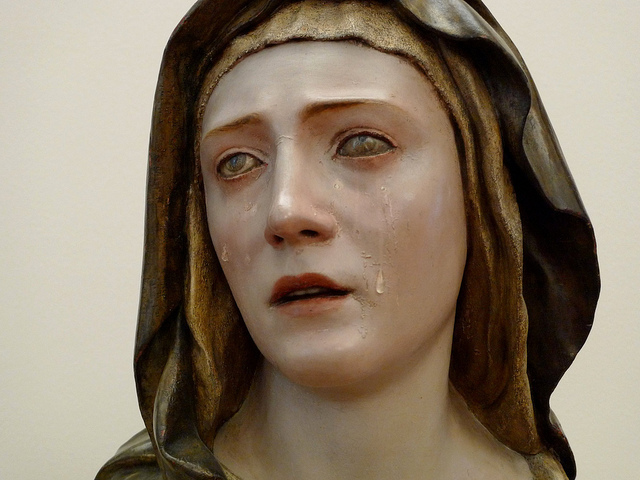 Mary as sufferer – the Mater Dolorosa. The writer of the Stabat Mater beautifully wrote: At the cross her station keeping, stood the mournful mother weeping, close to Jesus at the last. Through her heart his sorrow sharing, all His bitter anguish bearing, now at length the sword had passed. And finally, what of Mary, the human Mary, the Mary of the Gospels? According to the the New Testament, Mary was a mortal woman who found favour with God. She gave birth to God but was herself not a goddess. In the Apocraphal New Testament the book of James tells of Saint Joachim, an Israelite fasting for 40 days & nights in prayer because he had no children. Both he and his wife Anna, are past child bearing years. Anna also prays and an angel appears to Anna saying “Thou shalt conceive” Mary, the gentle maiden, herself, is the answer to the prayers of a childless couple.